Keep The Faith is a multifaceted, Seventh-day Adventist self-supporting ministry dedicated to proclaiming the three angels messages with a special emphasis on preparation for the end-time and the second coming of Jesus Christ. Keep The Faith is loyal to the principles of the Bible and Spirit of Prophecy and encourages faithfulness to their counsel in an increasingly secular environment. Keep The Faith delivers a monthly end-time message on CD which often documents fulfilling Bible prophecy in current events and provides insightful spiritual analysis. 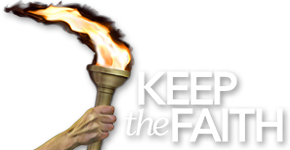 In addition to Keep The Faith’s core service providing stirring monthly messages for those who sincerely want to understand our time in the context of the Seventh-day Adventist message, Keep The Faith also provides speakers and teachers for church services, revival meetings, schools programs and other gatherings. Keep The Faith also delivers a quarterly program for children on CD called Keep The Faith For Kids which is a 20 minute program with a story, song and prayer for children ages 5-15. Keep The Faith also envisions development of camp meetings and convocations for those seeking a means of spiritual encouragement, fellowship and training in soul winning methods. Keep The Faith hopes to be able to provide training in various aspects of country living and end-time preparedness. Keep the Faith is a self-supporting ministry which is sustained by the generous gifts and bequests of its listeners. Funds are used carefully to provide monthly messages on various media, and its other ministry activities.